So, you’re a Canadian shopper looking to buy a new mattress online. You’ve figured out your preferences, done some “mattress reviews Canada” research on Sleepopolis *wink wink* and have finally settled on what you hope will be the bed of your dreams! Easy as can be, right? Well… not always. In your search, you probably learned that a lot of bed-in-a-box brands are located in the United States and unfortunately don’t ship their mattresses outside the country, which can be particularly frustrating for those of you just across the border in search of the perfect mattress in a box Canada. But never fear! 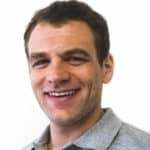 In the past few years, a handful of excellent Canadian mattress companies have heard your call and set up shop above the 49th parallel to bring some much-needed comfort to sleepers all the way from Nova Scotia to British Columbia. To help you get started on your search, I’ve assembled some of my favorite Canadian brands below and even thrown in a few American ones that provide free shipping for their neighbors to the North. To make it onto my Best Mattress Canada list, brands had to meet a few different criteria. First and foremost, high marks were doled out to Canadian mattress companies that design, manufacture and assemble their products all in Canada. Secondly, I gave preference to any brands that have headquarters in the country as I feel an official presence on the ground says a lot about a company’s investment in a place. After coming up with a list of those brands with meaningful connections to Canada, I narrowed it down even further to focus on companies that make the best quality mattresses. While a subjective term like “best quality” is going to mean different things to different people, for me it’s all about a thoughtful design process that uses superior materials in an innovative way to bring the most comfort to the consumer at the best price. I think too that this process must support the phenomenal work being done across Canada to fight climate change by keeping things as local and sustainable as possible. And of course I also considered comfort, ratings, cost in CAD, warranties, trial periods, other mattress reviews Canada, delivery rates and all those other fun things in my decision-making process. 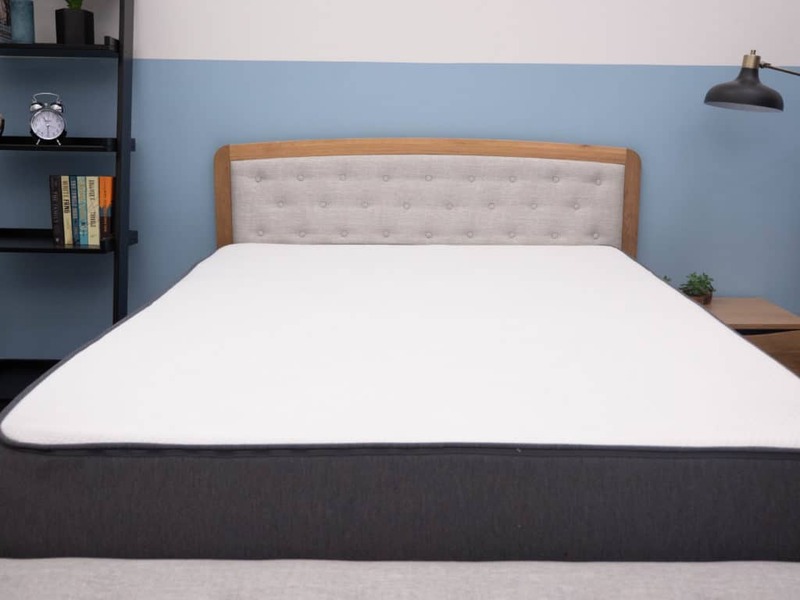 The Novosbed Mattress offers a classic memory foam feel, but also features three different firmness levels for sleepers still experimenting with their support needs! Endy has a very soft feel with a proprietary foam comfort layer on top that offers superior pressure relief for side sleepers! Enjoy $50 off your purchase with the code SLEEPOPOLIS! A thick layer of memory foam makes the Polysleep mattress fantastic for those in need of deep pressure relief. Enjoy $70 off your order with code Sleepopolis70! 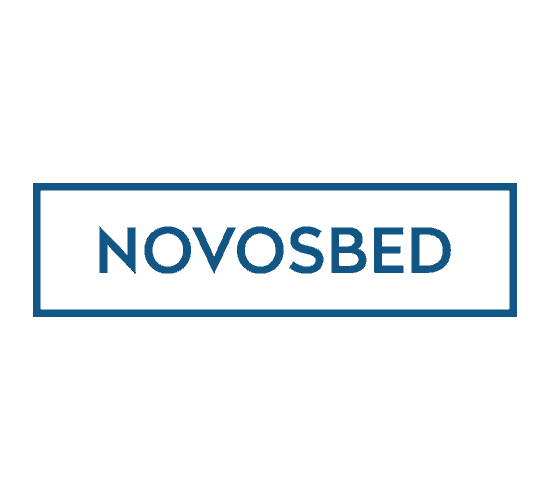 Founded in 2009, Novosbed was an early pioneer in the bed-in-a-box world and one of the first Canadian made brands to enter the space. 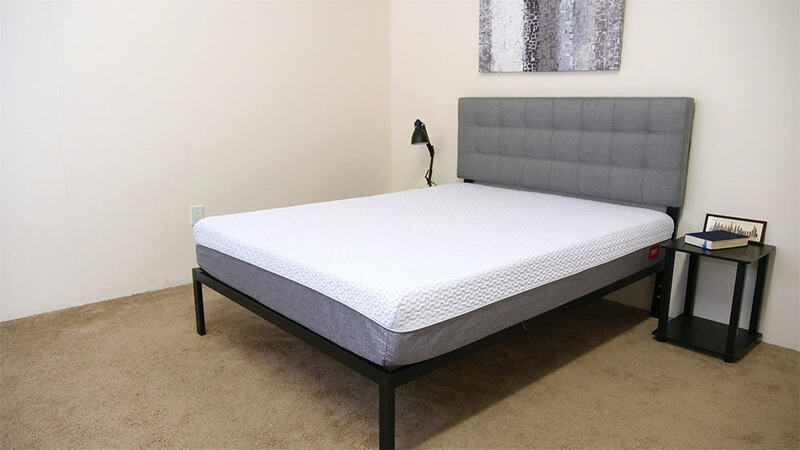 By developing and perfecting a single mattress—the company’s flagship memory foam model—Novosbed was able to streamline its manufacturing process and grow into one of the most popular online mattress Canada retailers out there. This foam mattress remains the brand’s signature model and combines four inches of ultra-dense memory foam with high-density poly foam for a lush, pressure-relieving sleep. The top rated bed comes in three different firmness options (soft, medium or firm) all of which can be adjusted with the aid of an optional Comfort+ layer. 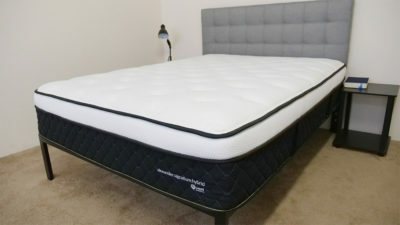 For more, check out my full review of the Novosbed and some of my other memory foam mattress reviews. Canada cred: Main HQ in Edmonton, AB. Distribution warehouses in both Toronto and Breinigsville, PA. Mother brand of popular Canadian mattress companies Logan & Cove and Douglas. On a mission to improve sleep for Canadians everywhere, Endy has long been proud of the fact that its entire operation is based out of Montréal. There, high-quality North American materials are hand-crafted by Canadian workers for Canadian sleepers, ensuring a manufacturing process that is 100% transparent. All of this results in the brand’s signature mattress, an all-foam model made up of three distinct layers of pressure-relieving poly foam. I found the bed to be quite soft, with my group of testers giving it an average firmness rating of 5/10. What this creates is a gentle vibe ideal for those sleepers who want to sink deep into their bed. Sound interesting? 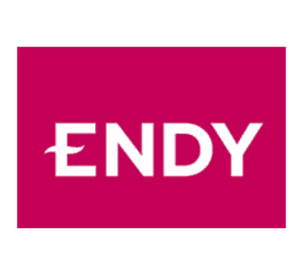 Take a peek at my full Endy review. Canada cred: Main HQ in Montréal. This mattress in a box Canada is manufactured and shipped out of Toronto. The Canadian made bed is constructed of five distinct layers, stacking up to a total 14” of comfort. 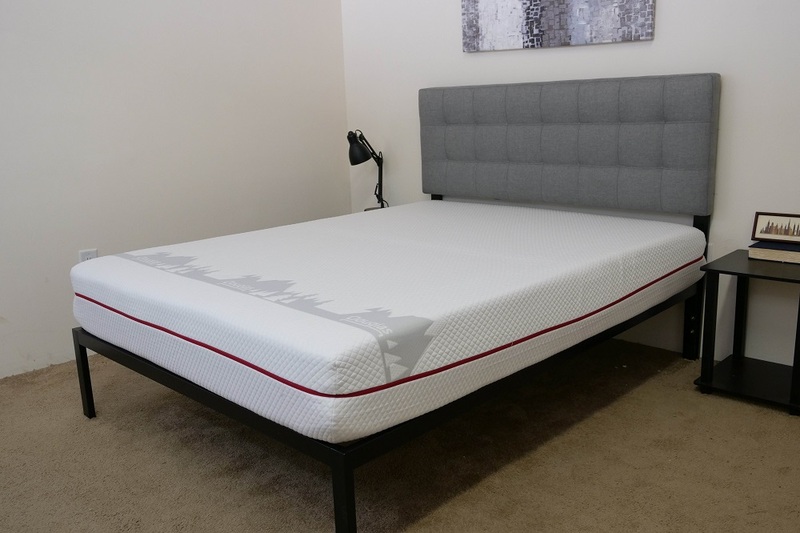 While the Logan & Cove would be great for a single sleeper, I was particularly impressed by how well it did on the motion transfer and edge support tests, which told me it would make a fantastic online mattress Canada choice for couples. Given its supportive coils, I’d also consider it one of the best firm mattress Canada picks on the market. 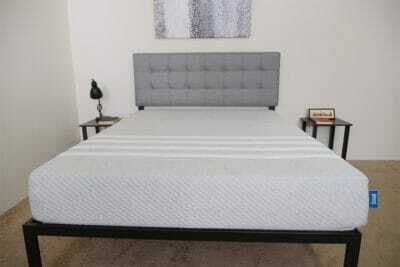 See my fullLogan and Cove mattress review for more details. Canada cred: Main HQ in Edmonton, AB. Claims to offer free shipping to 99% of Canadians, requiring fees only for those in remote locations. 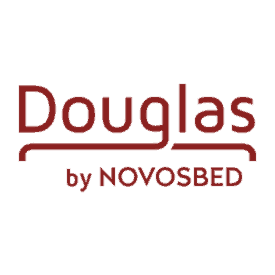 Billed as the “most Canadian mattress in Canada,” the Douglas mattress from Novosbed is built with Canadian-sourced materials in factories throughout Ontario and Quebec. This makes for an all-foam bed that’s not only comfortable, but also proudly homegrown. The all-foam design is comprised of three sections of different foam: gentle gel memory foam, buoyant Elastex foam and durable high-density poly foam. This combination of materials makes for a balanced foam feel that should satisfy anyone with a penchant for something softer. And for those on a budget, the CAD$899 & $799 price tags for a King/Queen is also a pretty big plus for the Douglas. Check out my full review of the Douglas mattress. Canada cred: 100% of every Douglas mattress is made to order in Ontario and Quebec. Designed, manufactured and assembled all in Montréal, Polysleep is dedicated to improving its customers’ sleep in true Canadian style with a best quality all-foam design that’s as functional as it is comfortable. 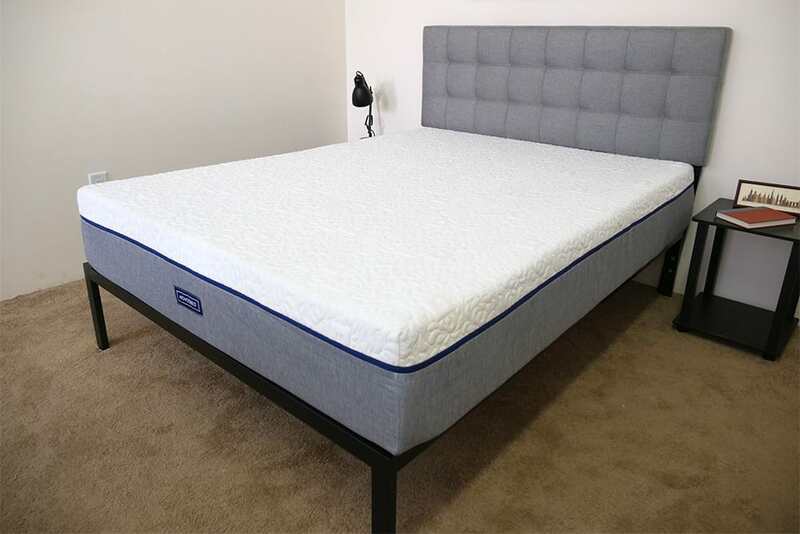 This comfort is derived from the bed’s gentle foam construction, which combines soft memory foam with high-density poly foam for some deep pressure relief. The functionality comes through in both the water-repellent cover and the perforated top comfort layer. While the former has its obvious benefits (hello coffee in bed! ), the latter is great because it makes for a super breathable structure that sleeps cool. For more, check out my full review of the Polysleep mattress. Canada cred: The entire manufacturing process takes place in Montreal. Ships free to Canadians from coast-to-coast. 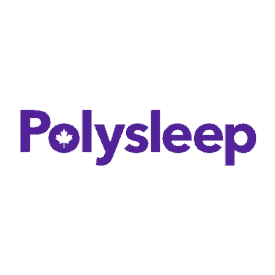 A thick layer of memory foam makes the Polysleep mattress fantastic for those in need of deep pressure relief. Enjoy $70CAD or $50USD off your order with code SLEEPOPOLIS! 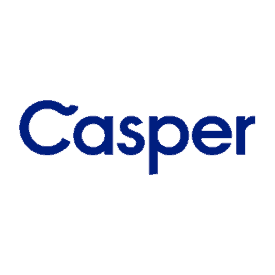 You might be surprised to see Casper on this list, but the popular mattress company has officially established a physical presence in Canada with a new Toronto HQ and a soon-to-be provincewide collection of retail locations. What this means is that Canadians can now enjoy free shipping on the brand’s ever-growing line of beds, which includes the Wave (a luxury all-foam option), Essential (no-fuss affordable model) and flagship Casper (featuring Zoned Support). While we like the Casper mattresses for a lot of reasons, we’re especially into how cool they sleep thanks to their breathable, open-cell foam designs. For a more detailed breakdown, make sure to check out my side-by-side comparison of all three Casper beds. Canada cred: Brand new headquarters in Toronto, with brick-and-mortar locations soon to open across the country. 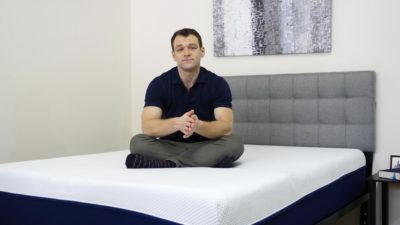 Next up on this Mattress Buying Guide Canada roundup, I wanted to give a shout out to all the great American-made brands shipping their beds up to Canada free of charge. I should note that this section isn’t meant to be exhaustive, but merely to highlight some of the big name bed-in-a-box brands dipping their toes into the online bedding Canada world. In your mattress search, you’ve likely stumbled upon Leesa, one of the most well-known brands in the bed-in-a-box sphere. While the company is certainly popular among U.S. buyers, it’s also grown quite an international fanbase ever since it started offering free shipping to Leesa mattress Canada, the U.K. and Germany. Though Leesa has a myriad of products on its docket—pillows and blankets and sheets, oh my!—its most popular item continues to be its flagship mattress, which combines bouncy Avena foam with gentle memory foam for a balanced vibe. However, don’t let this all-foam design fool you: the Leesa is pretty firm, making it a great pick for back and stomach sleepers. Interested in learning more? Check out my full review. Canada cred: Free shipping to Canadians across the country, though both the brand’s 100 Night Guarantee and 10 Year Limited Warranty are voided once its products leave the country of purchase. Founded as the memory foam spinoff of bed-in-a-box company Saatva, Loom & Leaf has been supplying sleepers with quality comfort since 2015. Since then, the brand has expanded its reach across the United States and slowly, but surely, into Canada. Canadians in Ontario and parts of Western Canada (primarily Vancouver and Edmonton) can enjoy free shipping on the mattress, which combines soft layers of memory foam with high-density poly foam for a bed that’s as pressure-relieving as it is supportive. I should note that this model comes in two different firmness options: relaxed firm and firm. Interested in learning more? 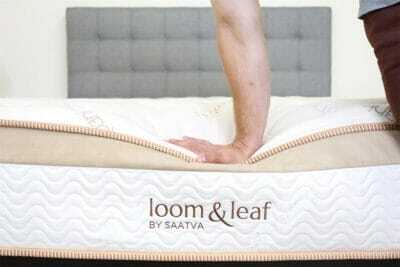 Check out my full review of the Loom & Leaf, here. Canada cred: Free shipping to Ontario (Toronto and Mississauga) and some Western provinces. Looking to provide more comprehensive coverage in 2018. Since its founding in 2010, Saatva has ballooned into one of the largest online-only bedding brands on the market. While the company is proudly American-made, it has in recent years begun to ship its popular innerspring mattress to its neighbors across the border. As with the Loom & Leaf, the Saatva is currently available to Canadians in Ontario and select parts of Western Canada. 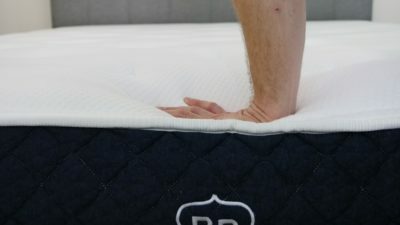 To find out if you’ll be able to get your hands on this ultra-supportive mattress, which features a ton of bounce and three unique firmness levels, simply navigate to the “shop now” section of the website and type in your zip code. If your zone’s a go, you can expect to receive the bed in as little as 9 days. For more on the Saatva, check out my full review. Canada cred: Free shipping to Ontario (Toronto and Mississauga) and some Western areas (mostly located within British Columbia and Alberta). Looking to provide more comprehensive coverage in 2018. Another fabulous bed from the minds of Saatva, the Zenhaven is an all-natural, all-latex model that’s perfect for folks looking to go green in their bedrooms. 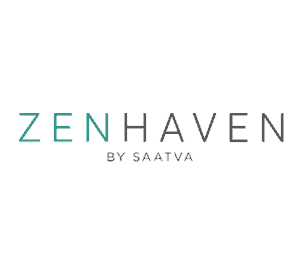 As with the Loom & Leaf and Saatva, the Zenhaven is available to Canadians in Ontario and Western Canada. If you’re an eco-friendly sleeper who lives in one of these regions, you’ll find a lot to love in the Zenhaven. Not only does it benefit from the inherent cooling and bounce properties of its main source material (latex! ), it’s also totally flippable, meaning that you get two distinct feels in one bed. Sound like the mattress of your dreams? Learn more at my full review. Canada cred: Free shipping to Ontario and some Western areas (mostly located within British Columbia and Alberta). Looking to provide more comprehensive coverage in 2018. 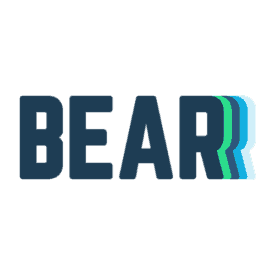 If you’re an athletic individual hoping to find a mattress that’ll give you a targeted, restorative sleep, look no further than Bear, a brand focused on those with active lifestyles. While the company has two mattresses to its official docket (an all-foam model and a hybrid), Canadian sleepers can currently only get their hands on the former. But not to fear! This bed is chock-full of amazing features, such as Celiant (a material that some experts suggest helps with physical recovery), gel-infused memory foam for cooling and responsive poly foam for some supportive bounce. For more, check out my full review of the all-foam Bear. Canada cred: Sleepers can browse the brand’s Canada-specific website and enjoy free shipping from coast-to-coast. If you’ve been shopping online for a new mattress, chances are you’ve come across a lot of information about Purple. Since its founding in 2016, the brand has exploded into one of the biggest names on the market, thanks in large part to its distinctive hyper-elastic polymer smart comfort grid. 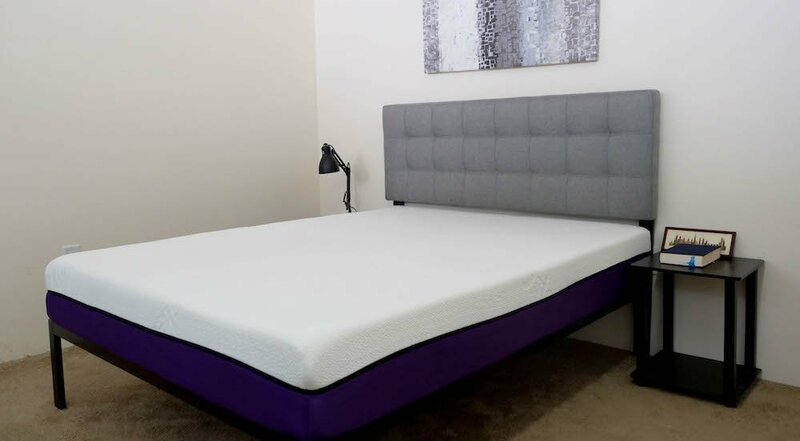 Though the brand has grown to include four different mattresses (the Original Purple and three firmness iterations of the New Purple), Canadians can currently only get their hands on the Original, an all-foam model great for pressure relief and temperature regulation. They can also enjoy the company’s extensive accessory line, which includes sheets, pillows, seat cushions and pet beds. 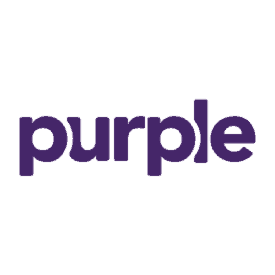 For more on Purple, check out my full reviews of the Original and New mattresses. Canada cred: Free shipping all across the country, excluding the New Purple and adjustable power bases. And finally, I wanted to include those U.S. mattresses that can be shipped to Canada with a little extra cost. While this may not be ideal for everyone, the added fee might be worth it for those of you who have already developed a fondness for a certain online bedding Canada brand and don’t mind paying a bit to get it. 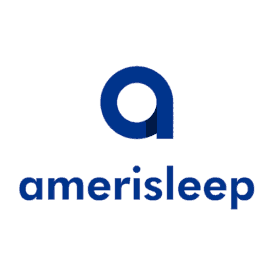 As the name suggests, Amerisleep is an American-made brand that’s been shaking up things south of the Canada–United States border for years with its extensive line of plant-based foam mattresses. If you’ve been hankering for one of these beds (and spent the requisite hours googling “Amerisleep Canada where to buy”), I’m here to let you know that it’s easier than you might think. These beds come in a variety of firmnesses, ranging from the ultra-firm AS1 to the medium firm Amerisleep AS3 all the way to the lush AS5, so are built to satisfy a wide range of different sleepers. While having one of these bad boys shipped to Canada will run you a cool $200 Customs and Import fee, you might find it a small price to pay for the array of firmness options. I should also note that the brand regularly offers discounts, which could offset this fee. For more on Amerisleep Canada, check out my comparison of its many mattresses, here. Helix occupies a unique space in the bed-in-a-box sphere as it provides some of the most customizable comfort out there. Upon first visiting the site, customers fill out a short sleep questionnaire, which automatically generates a mattress recommendation based on their individual responses. 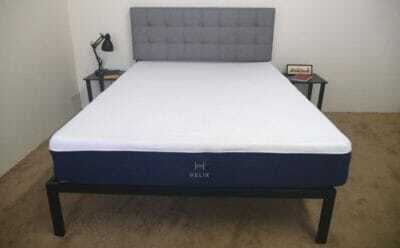 If you’re a first time mattress buyer and aren’t exactly sure what kind of feel you’re after, Helix could make a fantastic pick for you. Just know that shipping this mattress to Canada will cost you C$150 as well as a Customs Tax, all of which will be applied at checkout. Want to figure out if the Helix is worth this chunk of change? Take a peek at my full review of the mattress. Nest Bedding’s been in the mattress game since 2011 in which time its developed an ever-growing line of products geared at getting its customers a healthier night’s sleep. As far as mattresses are concerned, the brand boasts everything from all-foam models to hybrids to eco-friendly beds and everything in between, making it difficult not to find something to love in its diverse collection. And as part of its worldwide initiative, Nest promises to ship its goods anywhere, as long as the customer’s willing to split shipping costs with the company. For more on Nest Bedding, check out my guide to all its different beds. 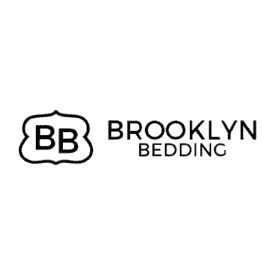 Featuring three mattresses (the all-foam Bowery, hybrid Signature and cooling Aurora), Brooklyn Bedding has been at the forefront of the bed-in-a-box movement for the better part of a decade. While the company prides itself on designing and manufacturing all its products in its home factory in Arizona, it does ship beds to its fans up North for a fee. Shipping to Canada is done via UPS and starts at $270 a mattress, with smaller accessory items coming with custom quotes depending on the order. If that expense doesn’t phase you in the slightest, check out my full reviews of the Bowery, Signature and Aurora. Memory Foam Memory foam mattress available in three firmness levels $1,099 See Current Offer Read My Review! Side Sleepers All foam mattress constructed in Canada. Great for side sleepers. $850 See Current Offer Read My Review! 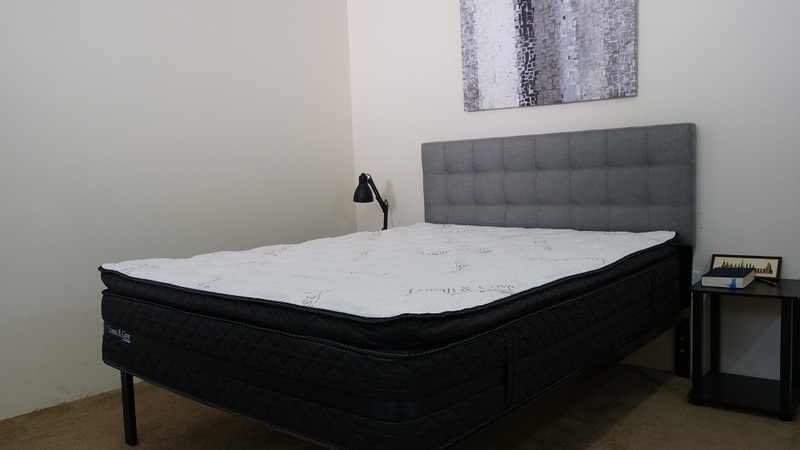 Back Sleepers Hybrid mattress pocketed coil system and euro-style pillow top containing memory foam and poly foam layer, providing a luxury feel. $999 No Current Offer Read My Review! For the Money All foam construction with a gel memory foam comfort layer to provide pressure relief with good cooling properties. The transition layer of Elastex foam helps keep people from feeling stuck when trying to change positions. $799 See Current Offer Read My Review! Soft Feel All foam construction using a memory foam comfort layer for a soft pressure relieving feel. Uses poly foam edge support to allow sleepers to lay comfortably near the edge of the bed. $770 See Current Offer Read My Review! 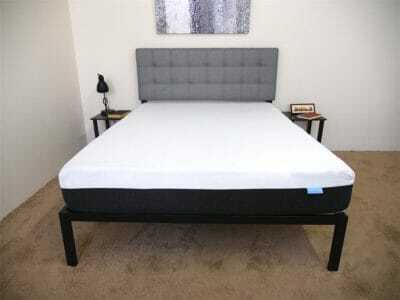 Cool Sleep Foam mattress with a medium feel that is zoned to better support heavier parts of the body. $995 See Current Offer Read My Review! 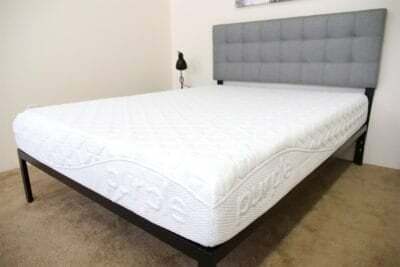 - Leesa’s flagship mattress is an all foam construction standing 10 inches tall. It contains three layers and, judging by the materials used, should provide a balanced feel of pressure relief and support. $940 See Current Offer Read My Review! - Amerisleep offers five different foam mattresses that get progressively softer as the line goes from AS1 to AS5. $999 - $1,899 See Current Offer Read My Review! 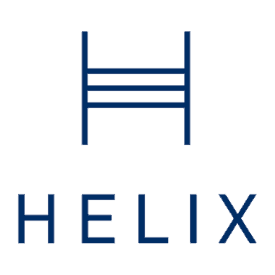 - Helix offers custom mattresses that are constructed based on answers to a questionnaire about sleep preferences on their website. $995 See Current Offer Read My Review! - The Loom & Leaf mattress is constructed with four different layers, stacking up to an impressive 12” of comfort when compared to the industry-standard 10” mattress. The added thickness leads to great deep compression support and durability. $1,099 No Current Offer Read My Review! - Coil on coil construction with a classic innerspring feel, provides stong support and bounce. $999 No Current Offer Read My Review! 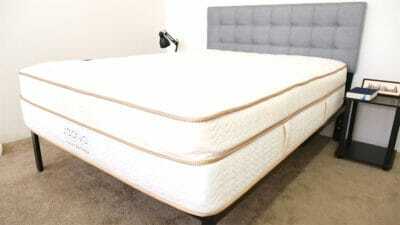 - The Luxi mattress is an adjustable mattress that contains 4 layers of foam. These layers can be manually swapped around to create a soft, medium, or firm feel. $1,299 See Current Offer Read My Review! - Provides a general feel that should be able to handle a wide range of body types and sleeping positions.The mattress consists of three layers of foam totaling 10 inches in height and is meant to have a medium firmness, to appeal to a wide range of sleepers. $950 See Current Offer Read My Review! 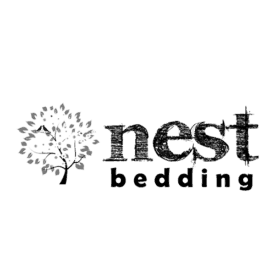 - Nest Bedding doesn't believe that there is one perfect mattress for all sleepers, so they offer a wide range of styles and constructions of mattress. $599 - $1,999 See Current Offer Read My Review! 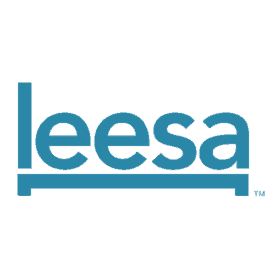 - To help find the right mattress, Brooklyn Bedding offers three different mattresses of varying styles. These mattresses provide support and comfort by utilizing foam and hybrid constructions including the use of Brooklyn Bedding's proprietary TitanFlex foam. $649 - $1,699 See Current Offer Read My Review!